With more than 200 stores, € 1.2 billion in turnover and 19.8% market share, Sieć Budowlana is among the leading builders merchant groups in Poland. At their annual in-house trade fair an exclusive group of suppliers had the chance to meet the builders merchants of Sieć Budowlana during just one day and showcase their products at exhibition booths. In the frame of their partnership, EDIN offered 10 of its suppliers the active participation at this fair, which took place on 19-20 March 2019. Innovative BIM solutions, construction IT and new IoT technologies change the building and real estate industry explicitly. The BIM World is the leading event for user-related solutions around building information modeling and new technologies for the construction, real estate industry and urban planning. On April 2-3, more than 200 exhibitors and 200 speakers have showcased the newest developments and chances that BIM has as a standard and a driver of new technologies. Building Information Modeling represents the digitalization and process optimizations of the whole building industry. BIM and digital models have become the main driving force behind innovation and performance in the construction industry, urban planning and regional development. BIM World brings together the entire BIM ecosystem and is THE meeting point for all engaged sector players. Philippe Hardt, Head of Digital at edin, has visited BIM World to learn more about how all actors of the building industry have to not only adapt to, but also embrace these changes in order to remain competitive in the future. He has met up with Lars Christian Fredenlund, CEO and Founder of CoBuilder, to talk about how the use of structured, standardized and interoperable data will lift the performance of the building and construction industry in the future. Managing data beyond mere product information modelling (PIM) will be key to unlocking the vast potential of the digital construction marketplace. To learn more about BIM and digitalization in the building and construction industry, we would be delighted to welcome you at the Build Forum in Dublin on June 4-5. Alongside Lars Christian Fredenlund, Jan Elfving (Senior Vice President at Skanska), Paul Surin (Head of Digital Built Environment at Wienerberger) and David Hogg (Marketing & Commerce Sales Leader at IBM) will provide participants with insights into the Digital Marketplace through keynote talks and panel discussions. For further information, please visit the Build website. The EDIN X-Change took place on 6-8 March at Schlosshotel Mondsee near Salzburg, Austria. Suppliers had the chance to meet European distributors represented by their CEOs and purchasing managers in pre-scheduled appointments. Furthermore several suppliers built up booths and showcased their products directly on site. It was a huge opportunity to forge new partnerships and trade opportunities. Suppliers had the possibility to present their product portfolio to purchase responsibles from 20 countries and many doors for new business were opened. On top of that our European Ambassadors from 9 European countries were present to offer suppliers specific market support. Our member Neuhofer Holz, which has been engaged in wood processing for 368 years, offered our participants a tour of their nearby production plant as a precursor to the X-Change days. Apart from this, the X-Change days offered an excellent networking platform, where the participants got inspired by the marvelous setting inside one of the oldest abbeys in Europe, framed by the picturesque winter ambiance of the Dachstein mountains. On 22nd January EDIN offered its suppliers the opportunity to visit our distribution partner Pillaud Matériaux in Reims, France. Pillaud Matériaux has 25 outlets in Northern France with a turnover of € 78 million. Apart from an interesting store tour, suppliers had the chance to pitch to purchasing decision makers and present their brand and products in pre-scheduled meetings. We are delighted to announce that Polet has joined EDIN. Polet is a supplier and manufacturer of hobby tools and professional tools for gardening and construction. The company introduces itself in the small text below. Whether your customers are professionals or do-it-yourself enthusiasts, your sole care is to deliver quality. That certainly goes for the tools they are working with. Because quality makes them work in a more pleasant and more efficient way. For over 150 years, Polet has been developing tools for the professional market as well as for the do-it-yourself sector. Over the years, advanced specialization and innovation have been the basic philosophy of Polet. This results in some very complete product ranges supported by highly effective commercial and logistics staff. Belgian made tools with European dimensions. Polet is a Belgian company and has been exporting its quality products to many countries since decades. It is therefore not astounding that foreign gardening professionals and enthusiasts regard Polet as their partner for heavy work. Complete product ranges for guaranteed commercial success. Not everyone will use a tool in the same way or is willing to invest the same amount of money. This is why Polet has adapted its complete range to the real market needs. The Polet tools are distributed essentially by specialized construction material outlets and garden centers. These receive a large commercial and logistic support. From modest smithy to an industrial company. More than 150 years ago, Polet forged his first shovel blades. The modest smithy has grown to become an industrial company, in which quality and innovation are both the keys to a commercial and well-balanced enterprise. Polet products are manufactured according to the international quality standards. They undergo the strictest testing before and after production. The innovative manufacturing process provides a higher yield, which leads in turn to competitive prices on an international level. At Polet, product development is not a vain word. It means a permanent research for customer benefits. The revolutionary glass fiber handles for example have a ten times longer life span than the traditional handles. All sectors are using Polet: the “green” gardening world as well as construction and industrial companies. The quality of Polet leads to increased efficiency everywhere. Professionals and do-it-yourself enthusiasts highly appreciate this. The building sector met at another thrilling BAU fair in Munich. With 2.250 exhibitors from 45 countries and 250.000 visitors from more than 150 countries, it was the largest and most international BAU so far. EDIN had the pleasure to meet their industry and distribution partners and get insights into the current state as well as the future of the building industry. The official programme for Build has been announced. Get ready for valuable insights into the world of B2B Building Materials and Construction through keynote speakers from world-leading companies. We are proud to announce that Griffon has joined EDIN! Below is some information about the company Griffon, its history and its products. Griffon is the international specialist in the field of adhesives, sealants, soldering products, lubricants and maintenance products. Griffon offers unique, high-quality product ranges aimed at providing solutions for the professional. Back in the nineteen sixties Griffon had the patented answer to the rapidly growing demand for adhesives for plastic piping systems. In addition to PVC cements numerous complementary plumbers’ products were introduced, such as lubricants, soldering and sealing products. Since then Griffon has developed into and internationally recognized specialist in the area of connection technology for plastic and metal piping systems. As the adhesive specialist for the professional Griffon also offers a complete range of wood and construction adhesives. In the field of mounting Griffon is well known with the extensive Poly Max® range – solvent free construction adhesives of absolute top quality – recognizable by the outstanding red cartridges. So no matter what kind of connection you wish to make; Griffon provides the best solution for the job. With sales offices in the Netherlands, Belgium, Spain and France, and distributors in many countries across the world, Griffon has built up a strong international market position. Well-known Griffon products are UNI-100® and WDF-05® PVC Adhesives, S-39® soft soldering flux, Kolmat® sealing paste and the construction adhesive Poly Max®. Opting for Griffon means opting for quality. In order to be able to constantly guarantee excellent quality Griffon employs a quality assurance system. This covers the entire process of incoming raw materials, production into the final product and delivery in accordance with prescribed and monitored procedures. This system has of course been ISO 9001 certified. In this way the user can be assured of a guaranteed quality level. Product quality focused on specific applications is guaranteed by approval marks such as British Standard, CSTB, KIWA and DVGW. Furthermore, several products have a CE marking and meet EN standards. Both the product and the process quality are continuously inspected by reputable, independent inspection bodies at home and abroad. In addition to quality, innovation is one of Griffon’s core values. Griffon is continuously looking for new and better solutions. Existing products are constantly improved so that they do not only work better, but also are more user and environmentally friendly. Through extensive research and close contact with end-users and manufacturers Griffon introduces innovative solutions for connecting problems time and again. Griffon is part of Bison International, worldwide supplier of high-quality adhesives and sealants for the professional and private markets. Furthermore, Bison International is also the company behind Bison, Bison Professional, Bostik (Italy), Velpon and Imedio. All of them undisputed A-brands with their own markets and segments. Bison International has been part of the Bolton Group since 1996. Bolton Group produces and sells a series of high-quality consumer products, many of which are market leaders in their category. The portfolio contains around 40 product lines in the area of foodstuffs, detergents and cleaning products, products for personal hygiene and skin care, cosmetics and adhesives. The Bolton products are mainly sold in Western Europe but are also in a large measure present in the Middle East and Central Europe. Furthermore, the Bolton products are sold in Asia, North and South America and Australia. 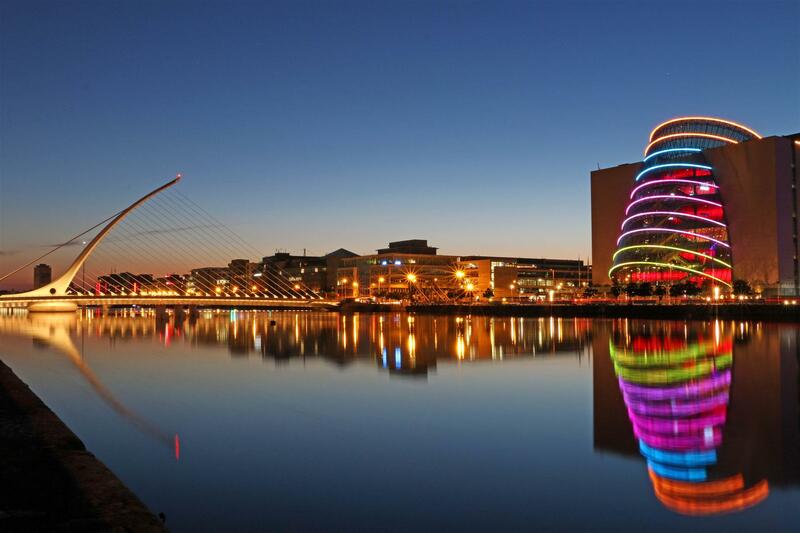 We are delighted to announce that, in cooperation with the Global DIY Summit, EDIN will organize the first Build Forum in 2019, taking place at the Convention Center in Dublin on June 4-5. The Build Forum brings together senior executives and key decision makers from leading building materials distributors, builder’s merchant chains, cooperations and manufacturers. The aim of the forum is to provide a unique platform for high-level networking and discussion of the latest trends and future evolutions in building materials and professional supplies. On top of this attendants will receive valuable insights into the prospects for the B2B market via world-class keynote talks and panel discussions featuring the industry’s foremost thought leaders. Topics covered will include the future of logistics, how technology can help improve business processes in all trade segments, the importance of standards in building information modelling and the digital marketplace as well as innovative partnership models between supply and distribution. The Build Forum will be held in the marvelous Convention Centre Dublin, awarded Europes best conference center in 2017 and 2018. Updates concerning tickets, programme, etc. coming soon! On 6th November EDIN took part in the annual EDRA General Assembly in London. The meeting featured a store tour including Travis Perkins, Wickes, B&Q and Screwfix.